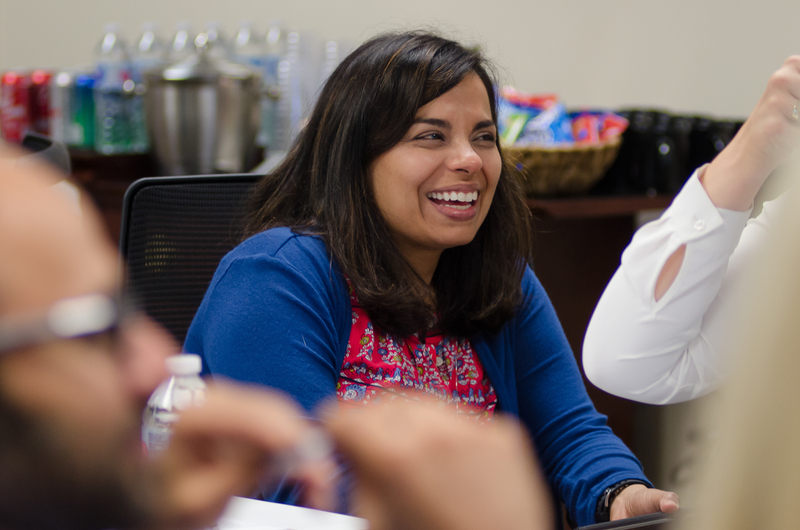 We asked Mamata Majmundar, M.D., a 2017 graduate of KMA’s first Kentucky Physicians Leadership Initiative program, to tell us about her experience. Unique to other leadership courses, the Kentucky Physicians Leadership Institute (KPLI) is geared speciﬁcally to Kentucky physicians and includes a personal and business side of leadership as well as a focus on advocacy and action. The latter two were new items in my learning process and were important for me to gain a better understanding of our legislative process. This program was an ideal way to learn how to promote impactful change for our community locally and statewide. Some physicians receive leadership training through formal degree programs outside of medical school and residency but the majority receive informal training or “tidbits of information” from trial and error and helpful colleagues. The training I received outside clinical medicine was more along the lines of seminars in managing physician performance, physicians in management, lean initiatives and physician wellness and quality. I sought out these topics in order to learn about opportunities to improve our healthcare delivery system. Now more institutions are seeing the need for leadership education and are developing ways to incorporate this into their program. I expected KMA’s KPLI program to provide high quality information and it did not disappoint. It was a memorable, interactive learning experience with each session supplementing the other. The ﬁreside chats and speakers were exceptional. I commend KMA Executive Vice President Pat Padgett, KPLI Chair Fred Williams, M.D., KMA Director of Education Miranda Mosely and the entire staff and Butler University faculty for creating an environment conducive to this type of learning. The KMA and Kentucky Foundation for Medical Care invested in providing the KPLI with the necessary infrastructure to create a functional system and a supportive environment. It paid off. This allowed participants to grow and improve their effectiveness as leaders working together for meaningful change. It was inspirational working with these physicians. For the final leadership session, we were asked to discuss our views and solutions to fight Kentucky’s opioid epidemic. Every single person is adversely affected by this epidemic either directly or indirectly. We need a strong infrastructure to eliminate barriers to mental health access and addiction prevention and treatment. We also need to expand our existing educational outreach on the pain response, proper use of medication and effective treatments for pain and addiction. This requires a multidisciplinary team approach. Together we can bridge the gap. The Kentucky Physicians Leadership Institute is accepting applications for the 2018 program until Feb. 28. Learn more at http://www.kyfmc.org/leadership/.